Are you having trouble getting ripped? Have your ripped muscle gains hit a plateau? It’s time to cut the mistakes and get real results. Getting ripped takes time, dedication and commitment, so make sure these common mistakes aren’t limiting your ripped muscle results and stopping you from getting ripped 6 pack abs and the ultimate lean muscle physique. Getting ripped – #1 Fat Loss Mistake stopping you from getting ripped. Not knowing how much you’re eating. The key to getting ripped is eating the right amount of calories for your body. If you don’t know how much you are eating each day it is impossible to track your progress. To lose fat and get ripped you need to consume fewer calories than you expend so that as you reduce the amount of calories you eat your body starts to burn fat for energy. However, it is important to remember that if you cut calories too much you may start to lose muscle, so you need to find the right balance for your body shape and training. When cutting calories to get ripped most trainers will reduce calories from carbs and eat more protein which helps to build lean ripped muscle. Try this 7 day Ripped Meal Plan to get you started and track your calories using an app like My Fitness Pal. Getting ripped – #2 Fat Loss Mistake stopping you from getting ripped. Thinking you can get ripped in one week. Getting ripped takes time, dedication and commitment. Getting ripped in one week is not achievable! For ripped results that you can maintain, allow at least 6 weeks to start seeing changes in your ripped physique. Start by setting your “getting ripped” goals and determine the overall outcome of what you consider to be the optimum ripped body. Constantly challenge your body by firstly recording short term ripped muscle goals that you will aim to achieve every 2-3 weeks. For example, record how much lean ripped muscle you want to build per week and how quickly you want to get abs of steal, what strength gains you want to achieve and what your target body fat % is and then record how you are going to reach these goals and get ripped. When you get your ripped six pack, set new long term goals to keep your abdominals ripped and leaner in the long term. Getting ripped – #3 Fat Loss Mistake stopping you from getting ripped. Not sticking to your plan at least 90% of the time. If you are serious about getting ripped you need to be sticking to the 90% rule with your training and nutrition plan. It is fine to have a cheat meal every now and then and to miss a training session from time to time but if you don’t stick to the plan most of the time your chances of getting ripped are significantly reduced. Before you can measure the effectiveness of any plan, you first have to consider how well you adhered to it. Getting ripped – #4 Fat Loss Mistake stopping you from getting ripped. Not mixing up your workouts and constantly challenging your body. To get ripped you need to be constantly challenging your body. Change your “getting ripped” programme every 2-3 weeks, otherwise your body gets into a pattern and you run the risk of hitting a ripped muscle plateau. While it may take time to plan, try mapping out your workout with 4 to 5 different exercises for each muscle group before you head to the gym each day. Also try changing up the volume and frequency of your ripped workouts and pushing up the weights when they become easy. Once you have hit a goal set another one that challenges your body even further. 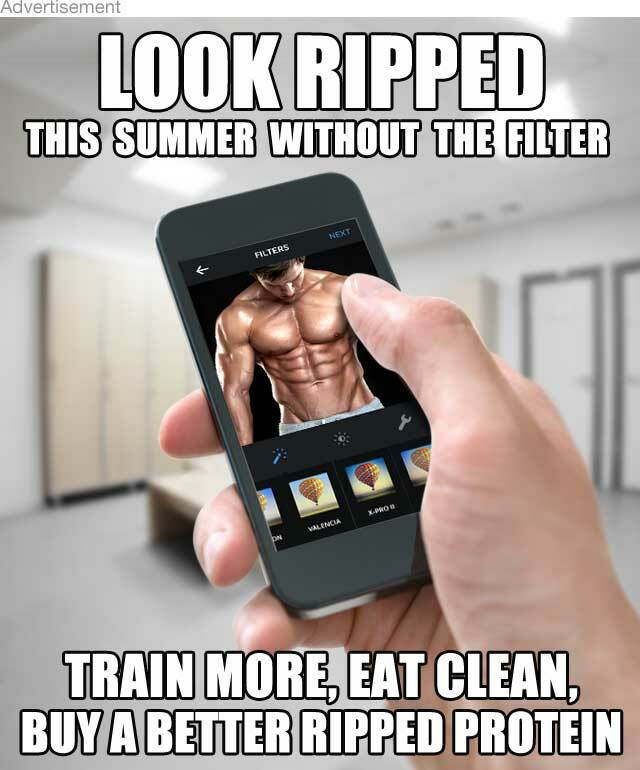 Getting ripped – #5 Fat Loss Mistake stopping you from getting ripped. Not eating enough (quantity) and not eating the right foods. When eating to get ripped you should eat at least 6 meals a day (every 2-3 hours) so that your blood sugar remains stable, cravings are minimised, energy and metabolism are maximised, and your muscles are fed for lean muscle growth. As a rule to getting ripped, eat fewer carbs and more protein and when you do eat carbs stick to nutritious ones like whole grains and vegetables while avoiding alcohol and foods that are high in sugar. If you are too busy or simply having trouble eating enough protein, adding in a lean and ripped protein powder such as Vitalstrength Hydroxy Ripped is an easy way to boost your daily protein intake. If you avoid these getting ripped mistakes and focus on your training and nutrition you will be well on the way to getting the ultimate lean and ripped physique.